DIRK DAIQUIRI IS ON THE SCENE!! !—2016 saw the release of the first 3 in a series of Tiki noir private eye adventures. 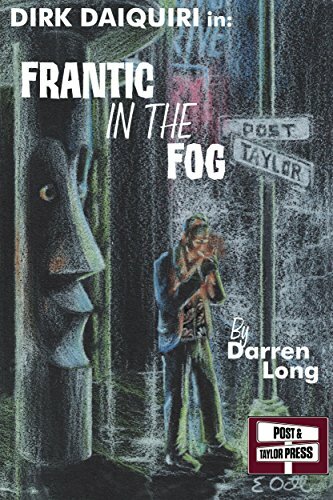 Journey back to 1957 San Francisco for a series of short stories about a former SF detective who is now a Private Investigator solving crimes and managing to enjoy the Tiki/Lounge lifestyle of San Francisco at the same time. Dirk prefers aloha shirts to suits, doesn’t wear a hat, drinks mai tais and martinis, and generally is cool and wisecracking!! Along with his ex-partner Detective Steve Hardeman, and his new secretary, Smitty, Dirk is busy fighting crime in a most beautiful locale! Pick up a copy below for $10, which includes Shipping! !